It is hard to believe it has been almost a month since I first started the blog and decided to undertake the twelve night challenge. In usual form my month was quickly filled with work commitments, bad weather and the annual winter cold. However, the hardest part of anything is starting. I watched my work schedule closely and managed to arrange a three-day weekend to give me ample time to recover from what may have been a cold and tiring adventure. This lined up nicely with a high pressure weather window, the trip was on. 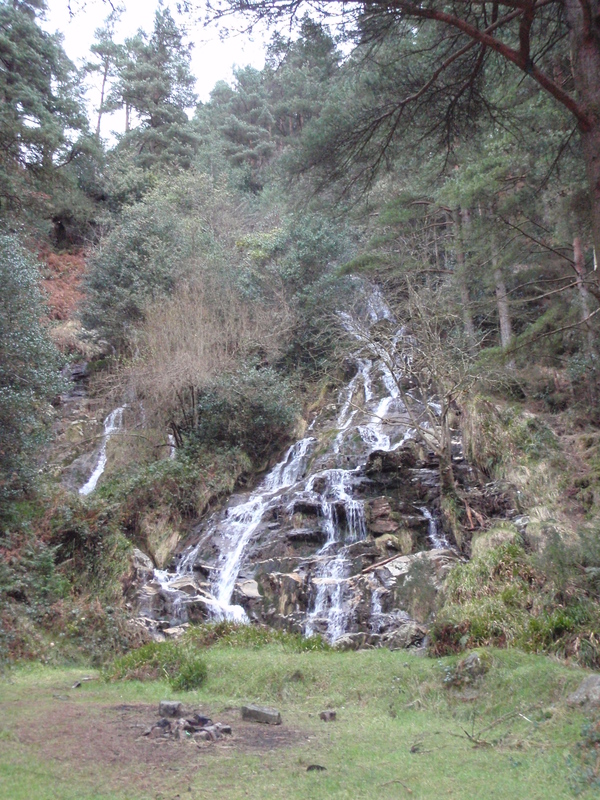 After speaking to friends and doing some research I decided my first trip away would be to a shelter or small cabin in South Wicklow on a long distance trail called the Wicklow Way. 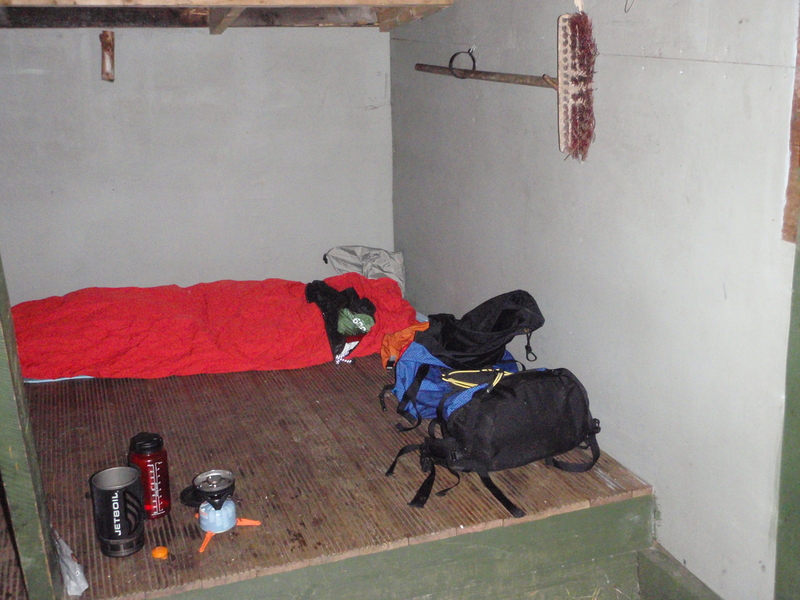 I did not know what to expect when setting off, my experience of these style of shelters in the UK has been mixed, but the location of a dense pine forest gave me comfort that I should a least be able to find some shelter from the weather if things took a turn for the worst. I arrived to a small car park off of a back road to be met by afternoon sunshine and most encouragingly, a large map showing me the location of the shelter in the woods. After a short wait a friend arrived who had agreed to join me for an afternoon walk, he wasn’t convinced by the camping idea, and we set off into the trees. 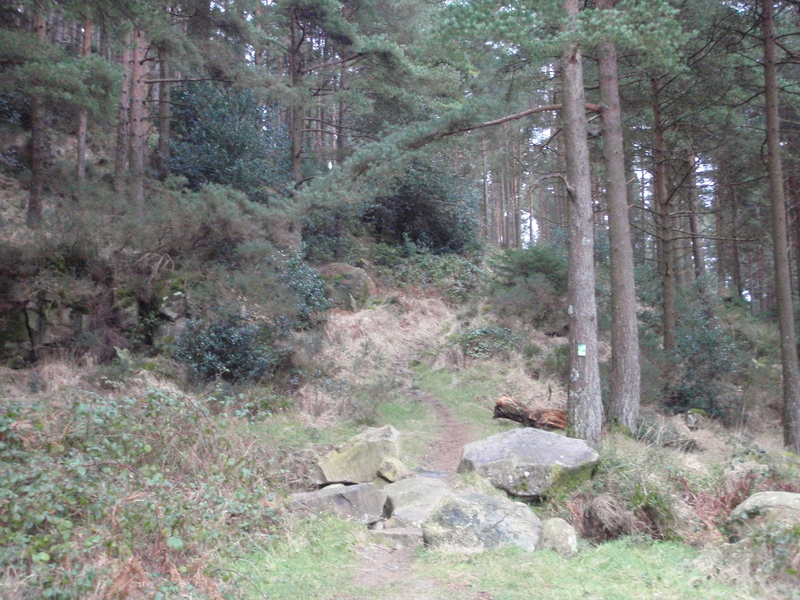 After about half a mile of steep climbing the small path we were on joined with a fire road and the going got easier. After roughly another half mile we found the shelter perched picturesquely in a small clearing in the trees. Having found the shelter we decided to push on up the hill and see if we could make it to the top, or at least above the treeline before dark. It wasn’t long before we managed to get above the treeline to see a lovely view of the sun beginning to set over the surrounding hills. They say time and tide wait for no man, and as such we decided it was time to call it a day in order to get back to the shelter before dark. I was pleasantly surprised by the quality of the shelter. A sign told me the shelter had been constructed in 2006 and the roof had been replaced in 2012. It had a good quality wooden floor, three sides and a sturdy tiled roof that had been designed well to keep out rain and reduce the wind. At this point some of you might be starting to ponder the validity of this location for a ‘camp’. My thoughts would be simple, the ethos of my challenge is simply adventure. It’s not about rules or regulations and I would encourage you not to make yours about rules either. To put it simply I was away from home and I was happy, that is enough for me. After a quick coffee from the stove my friend departed back to his car and I was left alone for the night. I quickly went about getting out my sleeping bag, mat and bivi bag and set about making the shelter home for the evening. It doesn’t take me long to make myself at home in these places, as I had said to my friend earlier in the day, I think in many ways I still feel more at home in the outdoors than I do living in the city. There is something I like about the way you have to contrast the big open expanse of nature by making your world smaller. Everyday activities such as being warm and finding or creating shelter focus us on the task in hand for a while, then, once you are comfortable this gives way to an expanse of time to be filled with your own thoughts, creativity and in my case, often a good book. 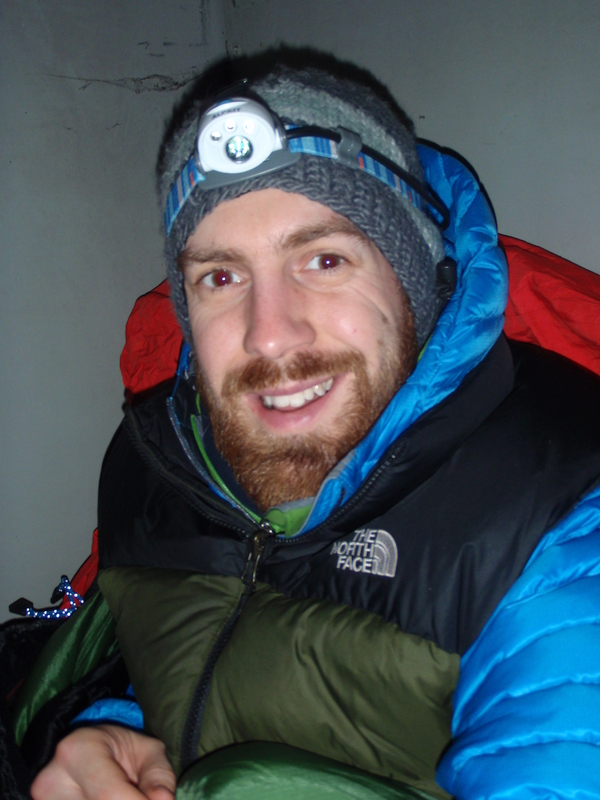 Having not been out for a while it was good to see all my skills are still in place and it wasn’t long before I was tucked up in my sleeping bag, hat and gloves enjoying my evening meal of cold pizza and noodle soup made on the stove. At this point I must confess to one of my short comings of the trip, a combination of poor planning and too much sleep on the morning of the adventure had left me slightly short on food. The combination of soup, pizza and Kendal mint cake I had manged to pull together was adequate but only just to see me comfortably through the night. I am normally more prepared than this and would want to highlight to anyone reading this the importance of having both a good quality and quantity of food for such trips as it is an important part of our ability to generate heat from within. I also forgot the mint tea bags I usually take on such trips so no more hot drinks for me as I would have been willing to bet more coffee would not have led to a good nights sleep. After what felt like a long and enjoyable evening I must have drifted off and before I knew it I had awoken to daylight filling the shelter. As I looked out from the shelter I realised there was a fine mist of rain falling and was glad I had not had to camp in the woods. I was somewhat surprised that see a 4×4 drive past and continue up the fire road as a was still relaxing in my sleeping bag and on a deeper level I think the presence of another person, if only briefly, stirred me to get up and start the day. Within ten minutes I was up and my bag packed. Within an hour I was back at the car and on my way back to the city feeling satisfied and looking forward to a substantial breakfast. For as long as I can remember I have been absorbed by the thought of adventure. When I was a child I was captivated by books such as The Lord of the Rings and Enid Blyton’s Adventure Series. These tales of far off excitement shaped me greatly and as I started to grow up I looked for opportunities to replicate this and build adventure into my life wherever possible. To begin with this included the sort of outings every young boy experiences, trips to the park or a forest with my family and camping in wet fields or staying in a youth hostel for the annual family holiday, being allowed out on my own with friends for the first time and exploring the neighborhood, slowly being allowed to cross bigger roads, find new places to explore and being allowed to return home at a later time. Since then many years have passed, many great adventures have taken place in my life and I have made many life decisions that have allowed this passion for adventure to remain a central part of my life. However year on year life catches up with you. I find my desires changing and time for adventure is squeezed ever tighter. This year, as I once again embrace the full and busy life I enjoy, I have decided to share it with you. I am no poet or author but have for some years now enjoyed the writing, films and photographs that have accompanied people’s adventures. At first I thought the production of these was only for the ‘big time’ professional adventurers or the occasional highly talented and interesting amateur. It has however occurred to me lately that I now enjoy reading of people’s personal experiences more than I enjoy the far off accounts of people at the top of their game with a lot of stickers from their sponsors to prove it. The aim of this blog is for me an experiment; a challenge that will last for one year. I hope to enjoy writing it and I hope at least some people will enjoy reading it. I have recently committed to the challenge to go on twelve small adventures this year, one per month, and as such shall also commit to writing a short blog post about each. My aim is not to impress or wow but to show how easy it is to embrace the spirit of adventure within us and to enjoy ourselves in the few precious hours and days we can claw back from the busyness of life. Please feel free to share it with others you think may enjoy its content and I wish you all a happy and adventurous year.